Uhm...I'm in somewhat of a garage band. and the guys (and girl) are fun as hell, I love'em like family. I draw, write lyrics, and (you guessed it) skateboard. Anywho, yeah. I wanna put up photobucket pics too, but nooooo. 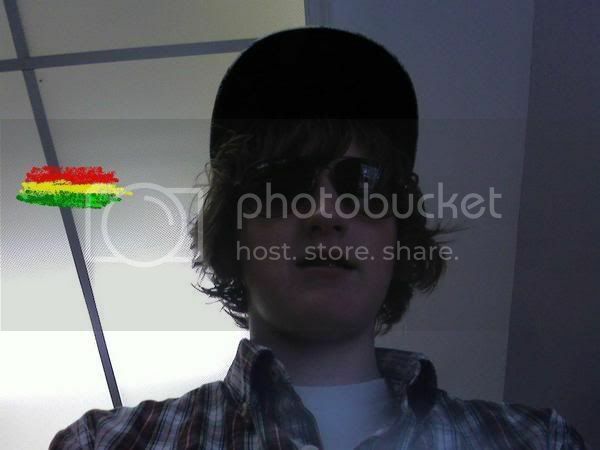 Photobucket decided to be a slutbag. ((I lied, don't use that email. i forgot the password, so uhm...yeah. account...anywho im aiming toward maikng a new one soon-ish. so yeah. Girl: No it's not. Please it's 2 scary! "hey natasha havent talked with you in a long time, what you been up to?" "hey thomas. i've been in rehab and counseling. how have you been?" critical conditon for about a week, but other than that, nothing really. Lol thats ok, sometimes I forget things to, but what else can we talk about ? That's ok np, we were talking about partying I belive lol. ...what were we talking about again? i totally spaced.